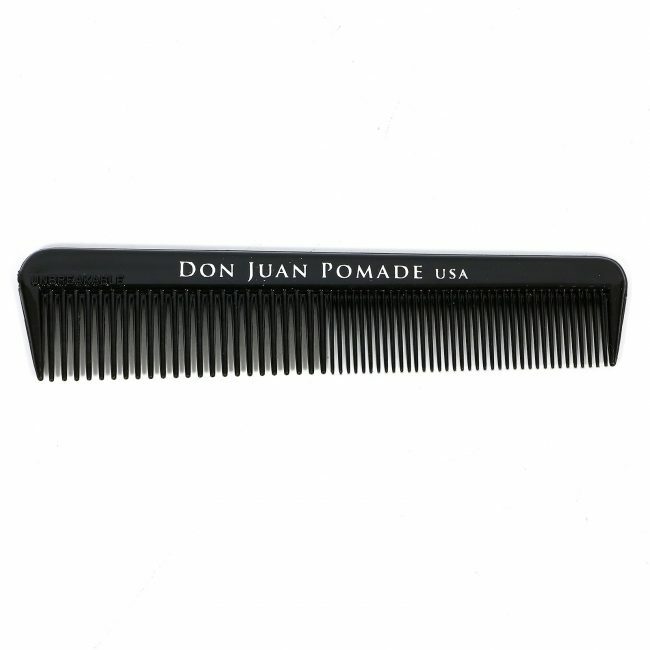 Accessorize the Don Juan way. 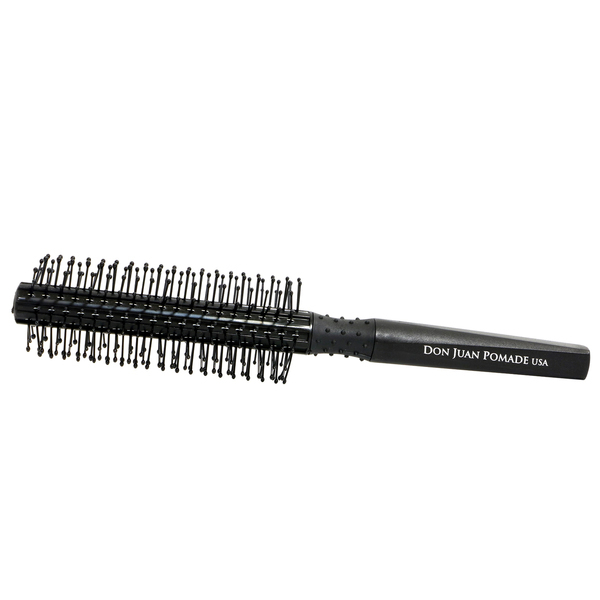 There's only one accessory you need—the perfect comb. 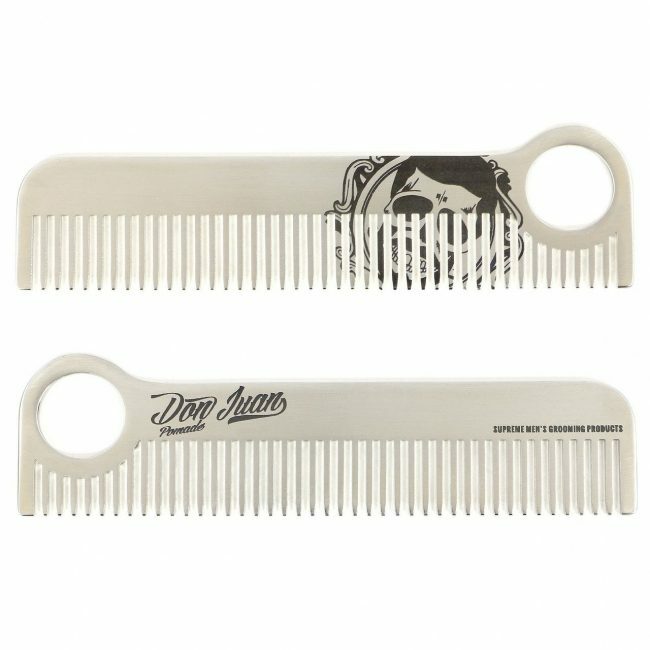 A comb is made for one purpose, but that doesn't mean it can't pull double-duty. 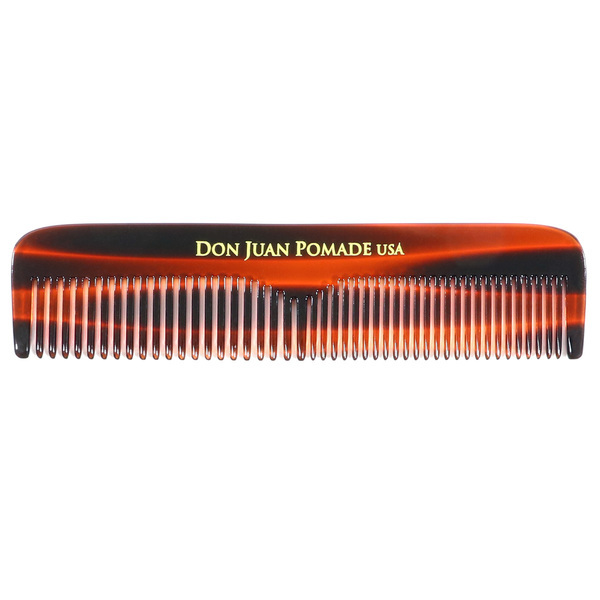 The perfect comb doesn't just help you style your hair, it adds to your style all on its own. That's why every comb we carry is made to accentuate your own personal style. 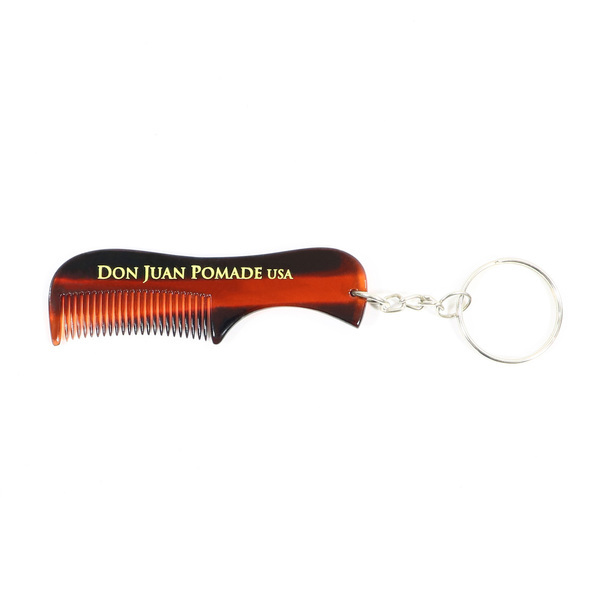 ‎ Make a statement with our limited edition bottle opener/comb. 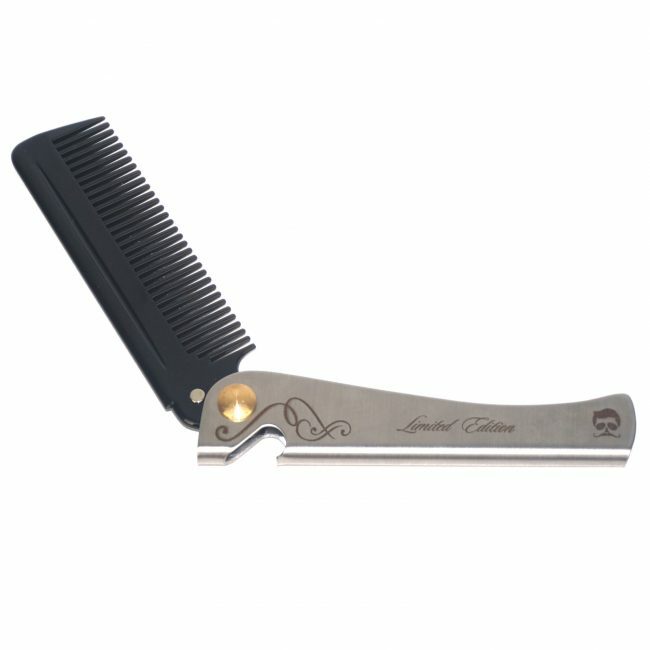 Designed to evoke the style of a barber's straight-razor, you can open a cold one and tame your slickback all in one easy motion. 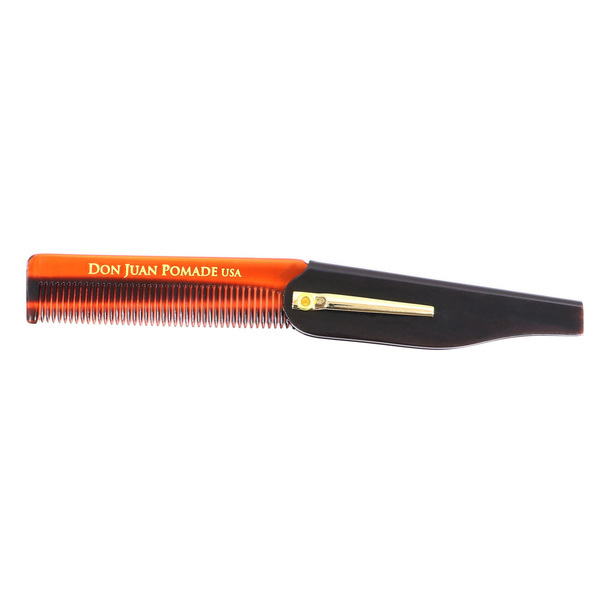 Style is eternal with our stainless steel comb. 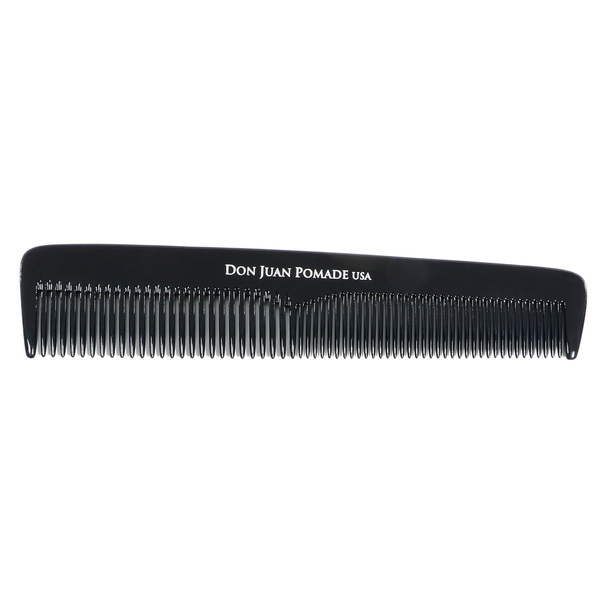 If you never want to replace your comb again, there's nothing stronger than steel. 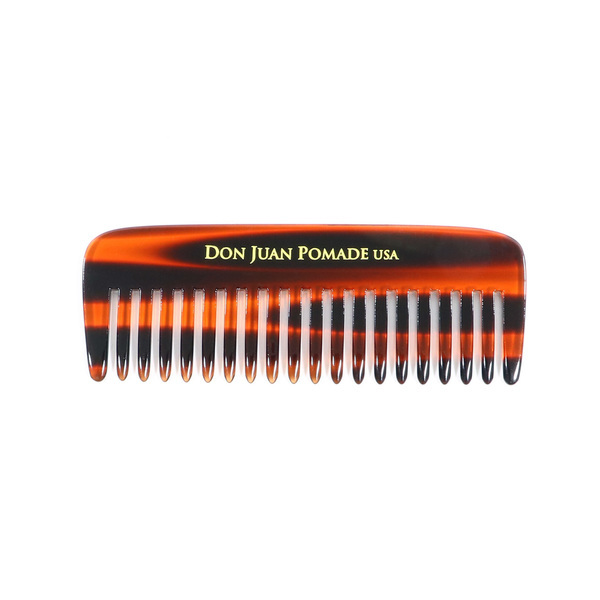 Emblazoned with Don Juan's logo, you'll get the world's finest comb from Chicago Comb with limited edition graphics you won't find anywhere else. 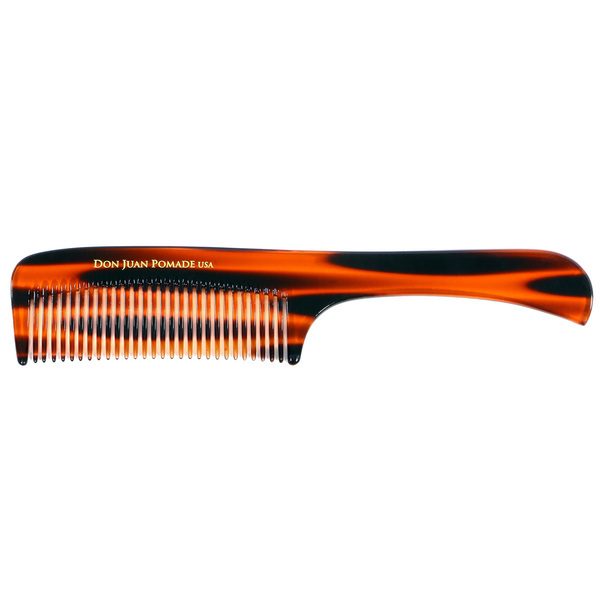 Classic and bold styling is easy with our classic comb. Two tooth sizes make it easy to get the look you want. 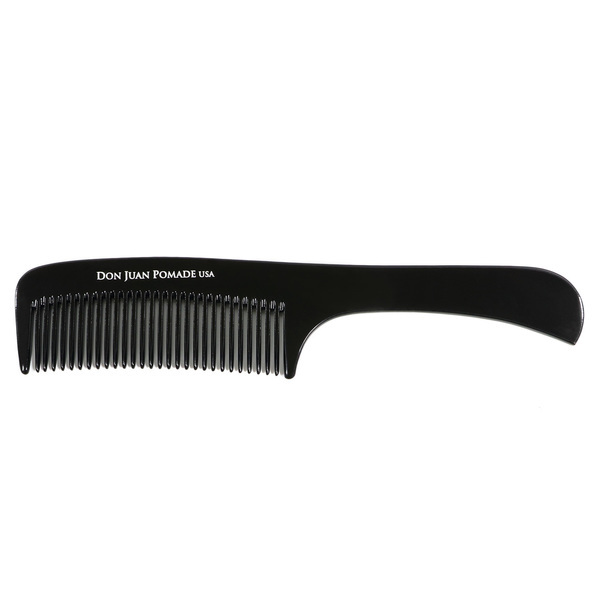 Made from durable plastic with additional tooth support—this comb is nearly unbreakable. Whether you're cutting hair or trimming beards in your own home or a shop, you want to keep clean. Throw out your plain barber's cape. You want style and substance, even when you or your clients are in the barber's chair. That's where our barber capes make all the difference. 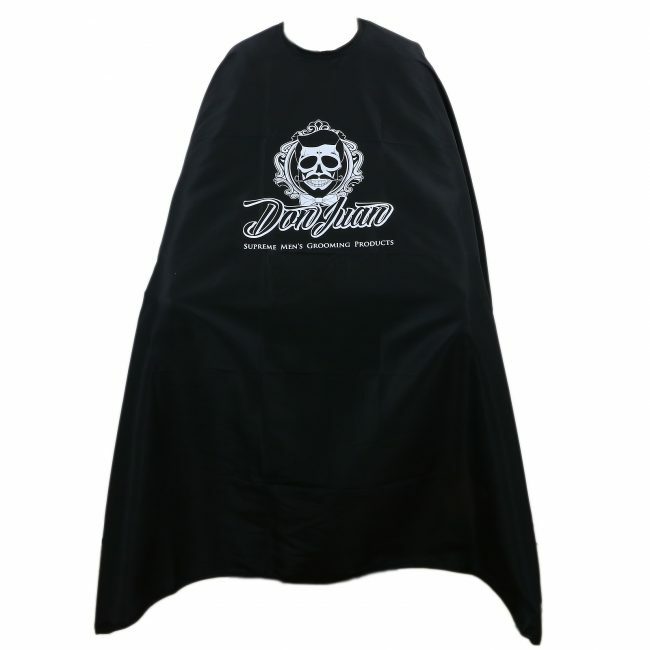 Our barber capes are all made in the U.S.A. At 60" x 72" you'll be completely covered against cut hair and trimmings. You want to show off the hair on your head. Don't let clippings clip your style. 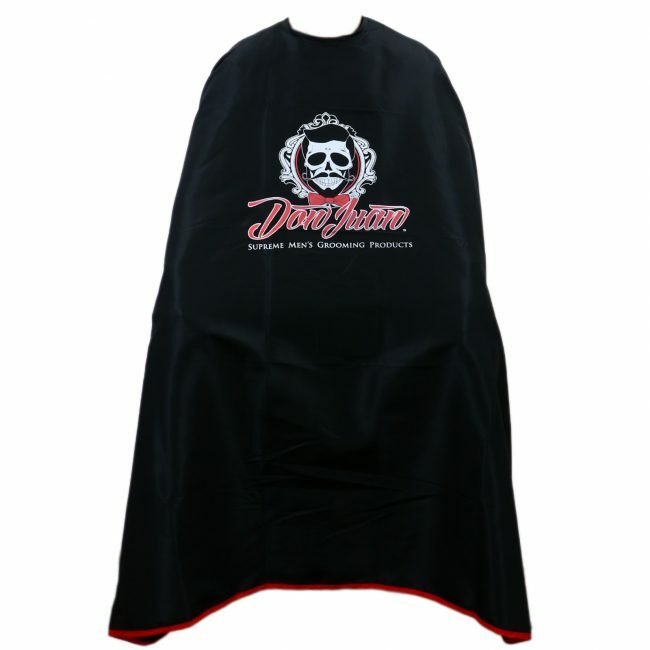 We offer traditional capes as well as our red lined cape for a bolder look. Canvas prints are the best way to let your friends, family, and clientele know that on your turf, style never dies. 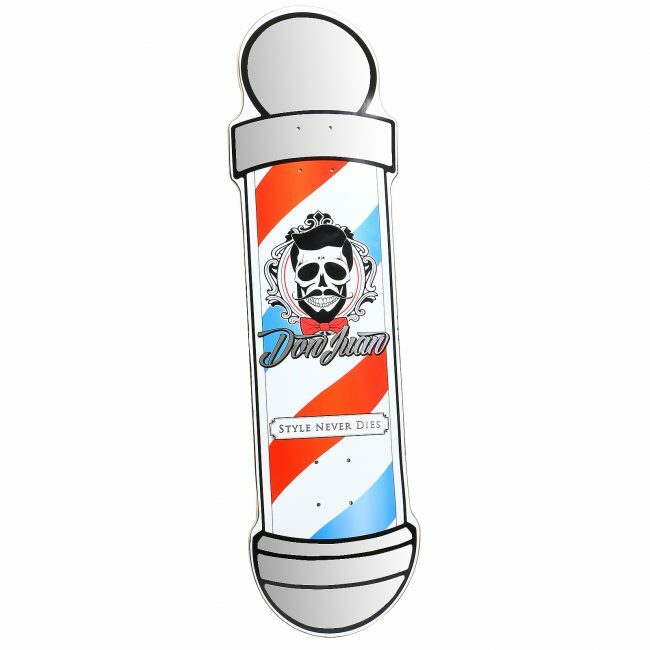 Whether you want to hang it on your wall or pop on some trucks and go cruising, our barbershop exclusive skate deck can handle the steepest inclines and look good while doing it.